For Black History Month, I thought I’d share a Canadian poet whose lush, cadenced verse is like Nova Scotian blues. I’m talking about Whylah Falls by George Elliott Clarke. I read it studying Can lit with Professor Robert Lecker in my last semester at McGill and we had fascinating discussions in class. 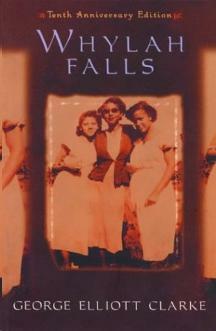 Some background: Whylah Falls describes a story set in Africadia, which is Clarke’s name for black Nova Scotia. Africadians are descendents of freed Loyalist slaves who fled the American colonies during the Revolution in 1783 and wound up in Nova Scotia, where they set down roots. Although I recognized “Africadia,” which sounds like “Africville,” from the headlines, I was unaware of how deep the roots of this Nova Scotian African-Canadian community really went. Clarke makes it his duty to represent Africadians, who were an illiterate people, in his expertly crafted verse. The conflicts–internal and external to the poet–which Clarke tackles are one of the many things that are interesting about Whylah Falls (at least from an academic standpoint). But if you took it off the shelf and read it, you might be confused about what genre it is. Sure, it is partly poetry–but it also has several prose pieces. The table of contents is divided into Cantos like the epic poems of old, under headings like “The Adoration of Shelley” and “The Trial of Saul.” The front matter also contains a dramatis personae list of main characters, in the style of the Renaissance drama folio. This makes no mention of the blurred, grainy photographs he includes throughout the volume. 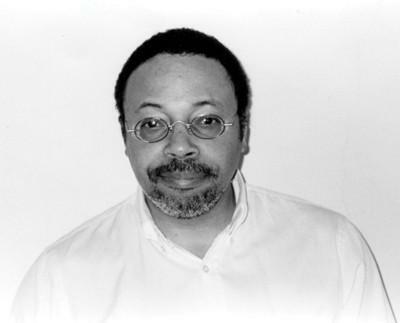 Basically, Clarke has written a classical epic about Africadia, combining the “white” tradition of the “great poets” with the more intuitive cadences of blues jazz. Is he crazy for attempting such a mixture of genres? Before you answer, you must consider that Clarke is such a master poet that he is well capable of answering this ambitious challenge. “At eighteen, I thought the Sixhiboux wept. Mystery; your limbs–scrolls of deep water. The way Clarke breaks each line and the diverse, evocative vocabulary are testament to his mastery of language. As you might have guessed, his book is not only filled with love poetry dedicated to people, but to the place of Whylah Falls itself and the river that runs through it. Whylah Fall‘s characters are also brilliantly inspiring, the salt of the earth, so to speak. Who could forget the following description of Cora in the kitchen? This alchemy of cooking is only possible in Whylah Falls. Even if you do not think you are likely to pick up a book about an African-Canadian minority group in Nova Scotia, you can still see that the imagery in its vital power can awaken the soul. A thrown bouquet, he dropped softly to earth. P.S. Check out this stimulating interview about Africadian identity.